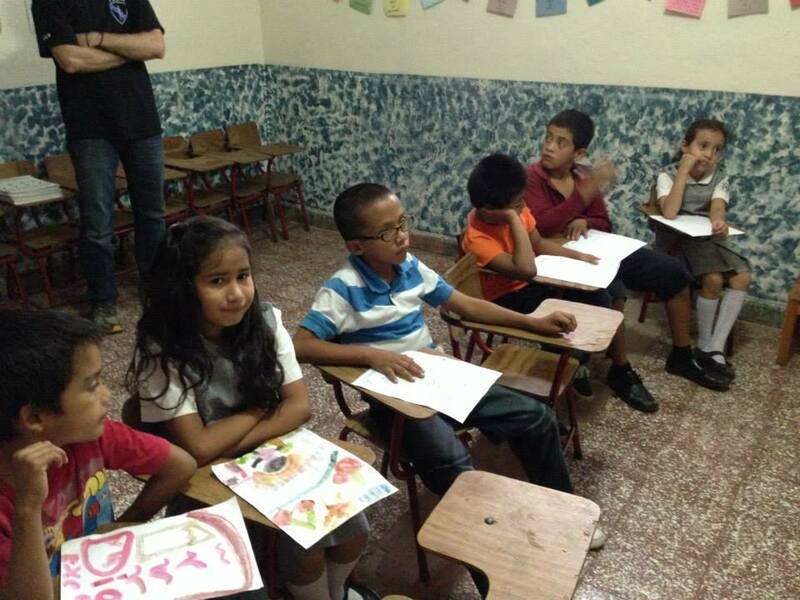 This past week a group from Thin Blue Line Ministries traveled to Honduras to work with POI. Thin Blue Line is a ministry based out of Arizona that works with orphans, government officials, police and military authorities to bring the grace message. 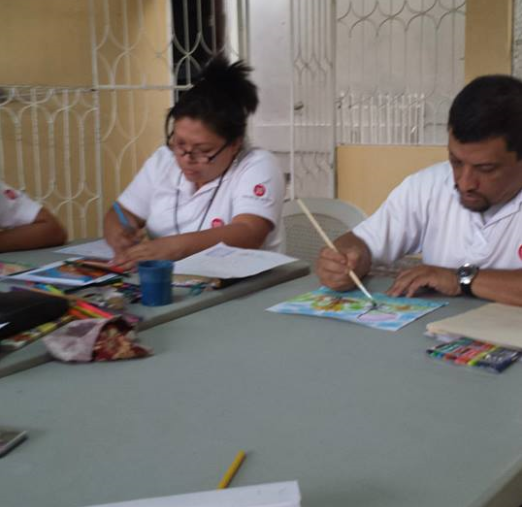 This week the team went to each POI program to train the staff in art therapy, a psychotherapeutic way of creating a safe place for children to release stress and feelings. 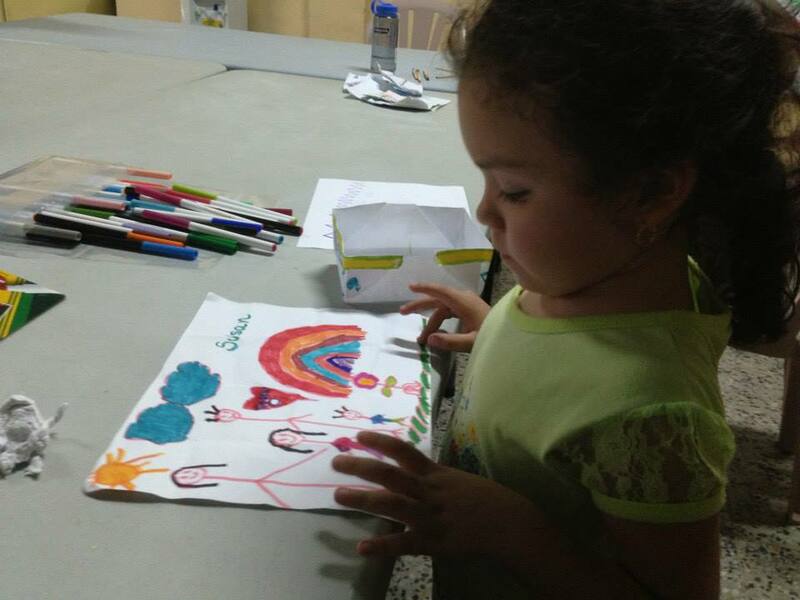 Art therapy is a wonderful program for the children in these neighborhoods who carry an enormous amount of emotional baggage due to their dysfunctional family lives and extreme poverty. POI would like to give a huge thank you to everyone from Thin Blue Line Ministries who came to serve this week! As the boys and girls walked into their classroom it looked very different than usual. The entire room was covered in brightly colored fabrics, beading and Indian décor, and their teachers were wearing authentic Indian Sarees and Panjabes. The POI student team went to each of the POI programs with bundles of decor and costumes to teach the kids about persecution, something most of them have never heard of. Although many Honduras suffer from extreme poverty and the lack of basic needs, they do have the freedom to worship. However, much like us here in the US, it is easy to take that freedom for granted. The majority of the children in the program had never heard of Christians who are not allowed to worship freely. They had an exciting day learning about India, a country so different from their own. The next day’s focus was North Korea. A stark contrast to the first day, the children arrived at the program to find the rooms completely draped in black fabric to show the dark oppression in a country where Christianity and worship are absolutely forbidden. The lights were dimmed and the teachers used lanterns as they taught. The kids were completely in the moment and interested to see what would come next. It was an incredible opportunity to teach them what a blessing it is to have the freedom to worship God. Despite the poverty, emotional pain, and worries that these children have every day, they were full of compassion and amazement at the lives of children just like them in countries like India and North Korea. Oftentimes we need to be reminded how small our struggles are light of the bigger picture. We are so blessed. What does it mean if you find out that your sponsor child is no longer in POI? In the Tegucigalpa neighborhoods where the POI programs are located, life is very different than life in the US, as you all know. All of the kids in the POI programs are in very poor situations. Some parents even keep their kids home to do chores or to work for money. These neighborhoods are very dangerous because of the gangs and frequent crimes; many parents simply get scared and decide not to allow their children to go anywhere. These reasons are heartbreaking. It is hard for us to imagine a young child working just to put food on the table at night or being afraid of the danger just outside his small shack he calls home. However, the POI programs have been strategically put in these for neighborhoods because of their extreme poverty and violence. These children need help. They need food, medical care, an education, and most of all the love of Christ. POI has the incredible opportunity to provide children with all of these things. When any child leaves our program, we hope that it is for the best. However, when circumstances are out of our hands, we can rest assured that each child has been taught the gospel, loved, and prayed for. Those of you that graciously support a child are making more of an impact than you will ever know. Whether you have sponsored a child for years or you have just begun, we need each and every one of you. Pray for the families of the children in the POI programs—that their hearts will be softened to the gospel. 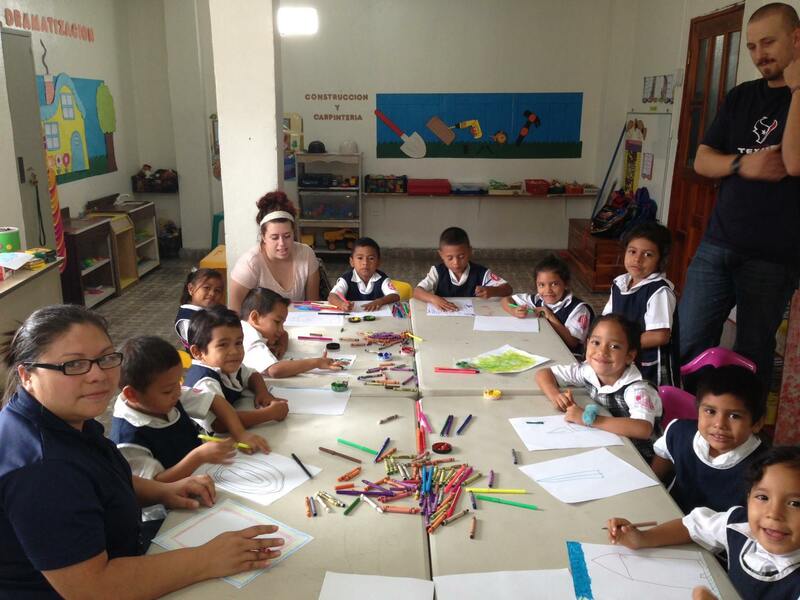 Pray that each child in the program will take their academics seriously in order to have the opportunity to continue their education after elementary school.